Financial and Estate Planners are often relied upon to provide sound, well-informed advice. Here at CMP Appraisals, we’ve worked closely with a long list of Financial & Estate planners over the years to assure they have the information needed to develop the best and most effective strategies for their clients. We’ve provided appraisals for Estate Planners throughout California for a variety of trusts, estate purposes, tax planning, asset update purposes, and more. 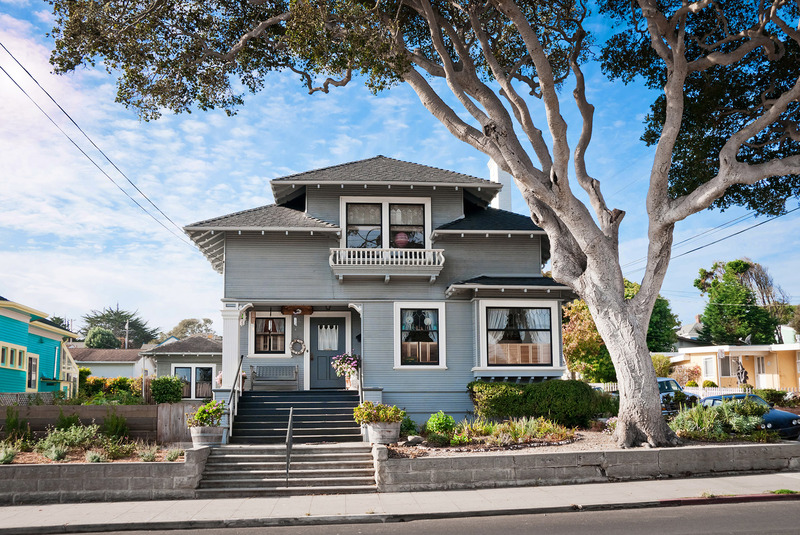 Over the years we’ve distinguished ourselves as one of the California's premier providers of appraisals for estate and financial planners, and we’re acutely aware of the detail, skill, and attention necessary to properly value these type of properties. In addition to this, we also assure complete discretion and are sensitive to the needs and privacy of those who reside in these homes. Have you ever wondered how a bankruptcy debtor calculates the value of their home? It is essential to be as accurate as possible when estimating your home’s value. In fact, an attorney will often recommend their clients contact a local real estate appraiser to perform an appraisal on the home to accurately assess its current fair market value. A home appraisal provides you with an accurate assessment of your home’s fair market value. Significant discrepancies in the value of your home can create potential problems in bankruptcy. If the value is listed too low, there are certain risks, such as a trustee objecting to the scheduled valuation and potentially asking the court for permission to seize your home. On the other hand, if a value is listed too high, it is possible to miss out on the availability of Chapter 7 and/or pay back more than necessary in a Chapter 13. Real estate appraisers, therefore, perform an integral function in the bankruptcy process. Appraisers usually estimate asset collateral values of secured creditors and debtor-in-possession (DIP) financings. Appraisers also help to identify and value of sale/leasebacks, spin-offs, licensing and other re-organization opportunities, and are often involved in structuring and valuing restructured debt and equity instruments, as well as assessing and opinionating on the fairness of proposed re-organization plans. For these reasons, bankruptcy professionals quite often need to hire, work with, and rely on experienced real estate appraisers. Our team of certified and experienced appraisers at CMP Appraisals understand the complexities involved in assessing the value of a property under these difficult circumstances and work hard to provide you with the best possible experience. Divorce is a painful process of which there are many decisions to be made including ‘who’s staying’ and ‘who’s going’ when determining what happens to the house. In many cases, the home is put up for sale, and the profits are split; otherwise one of the parties typically buys out the other. In any event, one or both parties should hire the services of a professional real estate appraiser to estimate the fair market value of the home. An appraisal for asset division should include a well-supported, professional report that’s defensible in court. CMP Appraising and other appraisal groups are bound by the ethics provision within the Uniform Standards of Professional Appraisal Practice (USPAP) which means you've assured the highest level of confidentiality, guaranteeing you the utmost discretion. When you work with the CMP Appraisals, you can be assured you’ll get the best in professional service, courtesy, and you’ll receive the highest quality appraisal reports. Our team of exceptional appraisers will also respect and protect the privacy of your needs in a divorce situation. Settling an estate is one of those things that most people know little about until they go through the experience. So we hope to offer you a bit of insight below into the process of estate settlement as it pertains to real estate appraisals. When an estate has a transfer of ownership due to death or inheritance, it is very common for a real estate appraisal to be needed for tax purposes. Often, during the settlement process, either an attorney or accountant will order an appraisal or have a family member or executor select an appraiser for the job at hand. It’s been our experience that estate appraisals are commonly ordered between 2-6 months after the death of a loved one or inheritance of a property. Occasionally an appraisal is ordered almost immediately; whereas it may also be as long as a year or more depending on the circumstances. Retrospective appraisals are fairly common in estate settlement situations. These involve appraising a home based on a ‘prior date’ which is typically the owner’s date of death, hence the reason why estate appraisals are often referred to as ‘date of death’ appraisals. And, in addition to needing a retrospective or date of death appraisal during the settlement process, the ordering party may also request a ‘current value’ appraisal in order to determine a current market value for purposes of sale or settlement between heirs. Regardless of your needs or the elapsed time, our team of certified appraisers at the CMP Appraisals understands the complexities involved in assessing the value of a property under these difficult circumstances, and we’ll provide you with the best possible experience. Remember, every estate situation is different and the type of appraised value required depends on the particular needs of the estate. This isn’t something to worry about as a good attorney or accountant can easily help direct you toward the type of value needed for the estate. However, we’re always happy to speak with your attorney or accountant to clarify exactly what’s required for your situation. Here at CMP Appraisals, we help homeowners that need to post bail. We know how stressful this situation is and we are willing to stop what we are doing, put you to the front of the line and help you get your family member or loved one out of jail and back to home sweet home. A real estate appraisal is necessary to prove that you have the real estate equity or collateral to post a bail bond while your family member or loved one is jailed or in custody. We can provide an extremely quick report so that you can demonstrate the value of your property and post bail in the fastest possible timeframe. When you are in a bind, we are there to help. If you purchased your home with conventional financing and put less than 20% down, it’s likely you’re paying PMI. Private mortgage insurance protects the lender or investor against loss if a borrower stops making payments. Homeowners mistakenly pay this insurance year after year, when it’s no longer needed, and as a result end up paying thousands in useless insurance premiums. In most cases, the necessary proof is a state certified appraisal. Recent legislation (the Homeowners Protection Act) requires servicing lenders to make homeowners aware of the existence of any PMI they might be paying for and the requirements necessary to have it canceled. Fortunately, you don’t have to wait for the lender’s notification to rid yourself of PMI. If you have equity of 20% or more, you’ll be able to cancel it almost immediately. Although mortgage insurance may have allowed you to purchase a home, there will come a time when this added monthly expense will no longer directly benefit you. Therefore, it’s in your best interest to keep the provisions surrounding its cancellation in mind because no one is going to cancel it for you and because you are, ultimately, your own financial advisor. Most lenders require a real estate appraisal by a state certified appraiser as the primary proof required to eliminate unnecessary PMI insurance. At the CMP Appraisals, we specialize in helping people just like you rid themselves of unneeded and unwanted PMI insurance. We offer a free initial consultation and will help you to determine if you have sufficient equity in your home to enable you to cancel your PMI. The CMP Appraisals is a leading provider of real estate appraisals for REO foreclosures and short sales. Our Company appraises both commercial and residential real estate throughout the greater Orange County area. We provide high-quality appraisals with detailed opinions of fair market value for mortgage banks, and mortgage servicing clients as well as “quick sale” forecasts that consider your specific timeline. For commercial real estate in foreclosure and bank owned real estate (REOs), owners and banks alike need to know the difference between “fair market” value and “quick disposition” value to determine the potential equity position or charge-off liability. Regardless of whether the real property is residential or commercial the fair market value in an ever-changing market is crucial to reducing non- performing inventory of REO real estate. Owners of real estate which are in foreclosure are faced with many challenges. Some are unwilling to allow an inspection of the property, or if they’ve already abandoned the property, they may have neglected the care of the home for a period of time, or even purposely caused damage. Due to the recent downturn in home prices over the past several years, a large percentage of homes in the Orange County area are still being ‘taxed’ based on much higher property values before this decline. So, there’s a very good chance you’re paying more than your fair share of property taxes! Sometimes, matters like this can be resolved with a phone call. However, if you’ve already discussed your assessment with your local taxing authority and you still feel as though your property has been overvalued, a professional, independent, third-party appraiser is often your best bet in proving your case. This is where the CMP Appraisals comes in. There are a lot of different procedures for appealing tax assessments, so it’s important to enlist the help of a professional appraisal company that’s experienced and trained in the ins and outs of the appeal process. Before hiring an appraiser, it often makes sense to do your own research before determining whether to move forward with a property assessment appeal, especially before making the decision of hiring a professional appraiser. Keep in mind, that according to the Uniform Standards of Professional Appraisal Practice (USPAP), we as appraisers are not allowed to take “shortcuts” — i.e., use your research as face value work as a part of our independent evaluation. When you hire us for an assessment appeal, you’re commissioning us as an independent, third-party to perform a professional appraisal report. As such, we do our own evaluation from beginning to end. If you’re correct that your property has been overvalued, an independent report such as ours should be more than enough to help your case and bring down your taxes. Feel free to call or come in to learn more about this opportunity. Today’s market can be challenging. Whether you’re a homeowner selling your property on your own or a seasoned realtor trying to establish a fair list price it’s often difficult to sift through all of the market data to determine a true value for your home. Because of this, it’s common for homeowners and realtors to rely on appraisers for assistance when establishing a list price for the sale of their home. CMP Appraisals has a long history of working with homeowners trying to sell their own home as well as realtors needing additional support for their own listings (or to prove to their clients the true market value of a property). At CMP Appraisals we can provide you with a professional 3rd party appraisal, which is usually more accurate than a realtor based Comparative Market Analysis (CMA). A pre-listing appraisal ensures both you and your agent have an accurate description of your home’s features and a detailed analysis of the most recent and comparable sales. Keep in mind that overpriced homes attract far fewer buyers, which means fewer and possibly no offers, wasting valuable time, money, and efforts; while an underpriced home can result in a lower selling price and often coming out short. Also, we can also help you determine what, if any, improvements would be the most cost effective in adding additional value to your home. We understand that a full appraisal may or may not be needed depending on what it is you’re looking for. A more limited valuation or market analysis report is entirely appropriate, whereas other times a full interior and exterior evaluation may be necessary. We help service all of your appraisal, home selling needs. In today’s highly competitive real estate industry, there has never been a greater need for accurate reporting of a property’s true living area as all too often the gross living area reported on public records differs from what really exists. As a Realtor, the MLS, as well as your Broker-In-Charge, requires you report an accurate and detailed summary of your listing when you enter them into, so there are many reasons to get a professional measurement on your listings. For example, the home may be large or have a complex measurement assignment that you’re simply not comfortable measuring yourself. As an agent, you don’t want to be held liable for an inaccurate square footage listing in the MLS. Here at CMP Appraisals, we offer two types of home measurement services: the basic home measurement, and the floor plan recreation. The basic home measurement is the most popular service we offer. It is designed to provide clients with an accurate and affordable solution for a determination of the home’s gross living area. Having the correct measurements can save everyone time and money and even help expedite the sale of the home. The second service, the floor plan recreation, is for those who need a more comprehensive measurement. The tools we use for this service shows an accurate gross living area with approximate locations of interior walls, doors, appliances, and plumbing fixtures. It also illustrates the basic room dimensions giving potential buyers and idea of each room. This service is great for those thinking about making upgrades or changes as well. Along with the benefits these services provide, our home measurements/floor plans are also legal documents which you can use for individual home sales to tax protests. Rush services are available for most appraisals but are dependent upon our existing commitments. Please understand that not all properties are eligible for this service and our existing commitments may limit our ability to provide the rush service for you. Additionally, we ask that you, please inform us of any pertinent information when ordering a rush service: bedroom/bathroom count, square footage of the home, views, pool, spa, upgrading, etc. so that we can give you our best services to meet your timeframe. If accepted, our rush service guarantees your appraisal report to be electronically delivered to you within 48 hours of the property inspection (including holidays and weekends) and typically adds a surcharge to our typical appraisal fee. Please feel free to call us for more information and availability regarding this service.